File - Madonna performs during her "Sticky and Sweet" tour a Foro Sol in Mexico City. 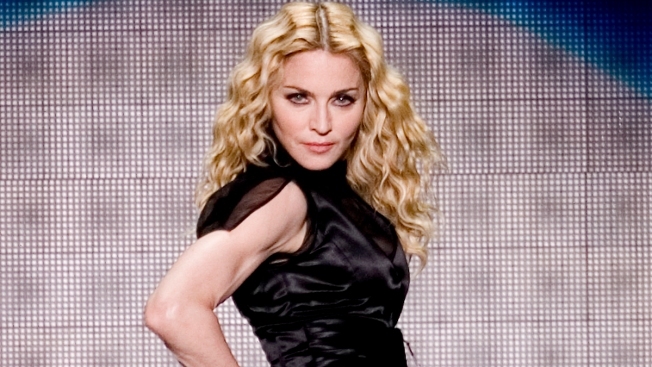 Get ready to dance in Madonna's old clothes. Julien's Auctions announced Tuesday that items from the pop icon's personal and professional life will be auctioned Nov. 7-8. Pieces from her "Material Girl," ''Music" and "American Pie" music videos will be offered during the Icons & Idols: Rock n' Roll auction in Beverly Hills, California. More than 30 items from the 1996 film "Evita" will also be available. Julien's Auctions said some of the awards that Madonna has won over the years will also be offered, including an MTV Video Music Award and an American Music Award. The auction will also include written lyrics, a diary from 1988, signed checks and a 1972 yearbook.